Marble is among the most prized and beautiful stones used for architecture. Few stone have as many aesthetic and functional benefits. Marble is popular for it is its beauty in sculpture and carvings, in the chemical structure, in pharmaceuticals, agriculture, and of course, architecture. That’s not all, marble is also used due to its visual characteristics in cosmetics, paint, or paper and its use in residential buildings and houses to modernize and beautify is also common. Marble can be a surprisingly affordable stone given how much of a visual and functional benefit it gives to your property. We at Statewide Stone Care are one of the leading providers of marble repair in NYC and the tri-state area. Due to years of experience, we have distilled our services to make it a tidy, organized and hassle-free experience for each of our valued customers. Our core areas of service include but are not limited to marble polishing, marble cleaning, marble repair, marble restoration, marble maintenance and more. We ensure high standards of service, and we take pride in the fact that, over our many years of experience, customers are demonstrably very satisfied with the quality of our work. We do business with commercial and residential properties with equal zeal and devotion, so, for any marble repair services, do not hesitate to call us whether your stone is recently installed or is a century old or more. 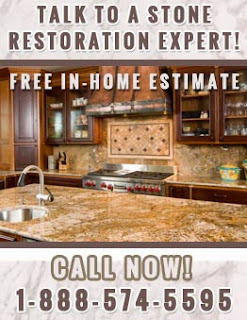 To learn more about us Statewide Stone Care or for more information about our marble repair in NYC, call us today at 1-888-574-5595. One of our stone care experts will be happy to speak to you.